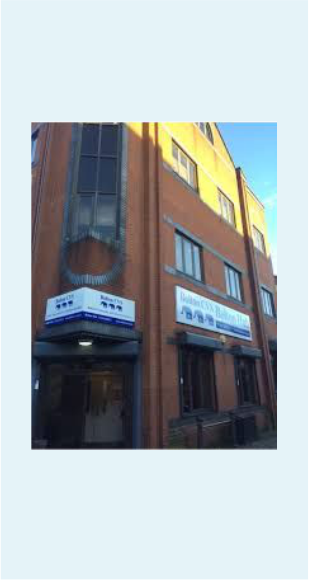 We hold many of our workshops at the base of Bolton CVS, The Bolton Hub. The Hub is utilised by several local organisations and is staffed by Bolton CVS. On entering the building there is a staffed reception, they will be able to direct you to the room we are using. Occasionally we use rooms on the 1st floor, there is a lift for those that need it. 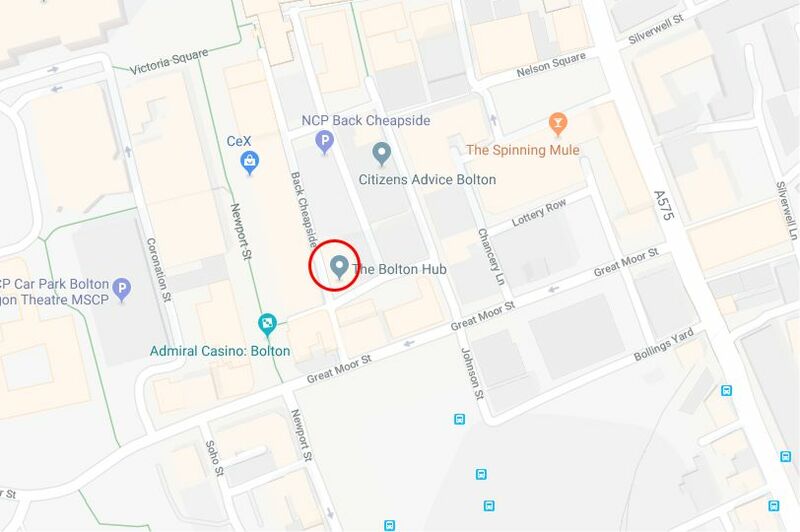 The address of The Hub is Bold Street, Bolton, BL1 1LS. Payment is made at the machine. The car park is on RingGo, so payment can also be made over the phone or using the RingGo app. A booking fee of around 20p applies. Access to the car is off Great Moor Street, which is a 1-way street. Access Great Moor Street from Bradshawgate. Just before the traffic lights at the junction where Olympus Fish & Chips is, take a right hand turn onto Back Cheapside. 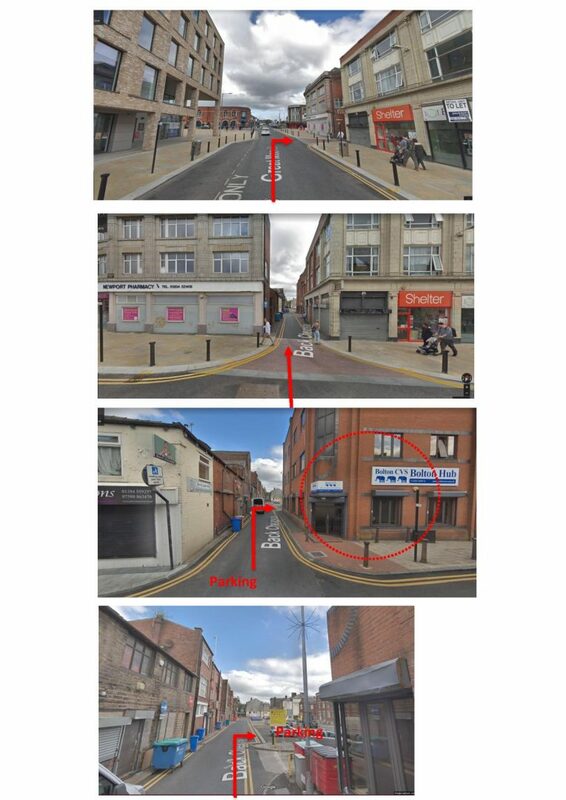 Cross over Bold Street, where you will see The Hub on the right, and the car park is on your right. Scroll to the bottom of this page for step by step directions using photos. It is a pay on foot car park and requires cash payment. Parking is banded as follows: 1 hour £1.70, 1-2 hours £2.80, 2-3 hours £3.30, 3-4 hours £3.80. How to find The Hub and nearest NCP Car Park.